Have you got your very own classroom for the first time? Are you moving year levels or classrooms? Do you feel like your classroom needs a freshen up? I have put together some of my most favourite Teach Starter resources and essential items to help you set up your classroom. 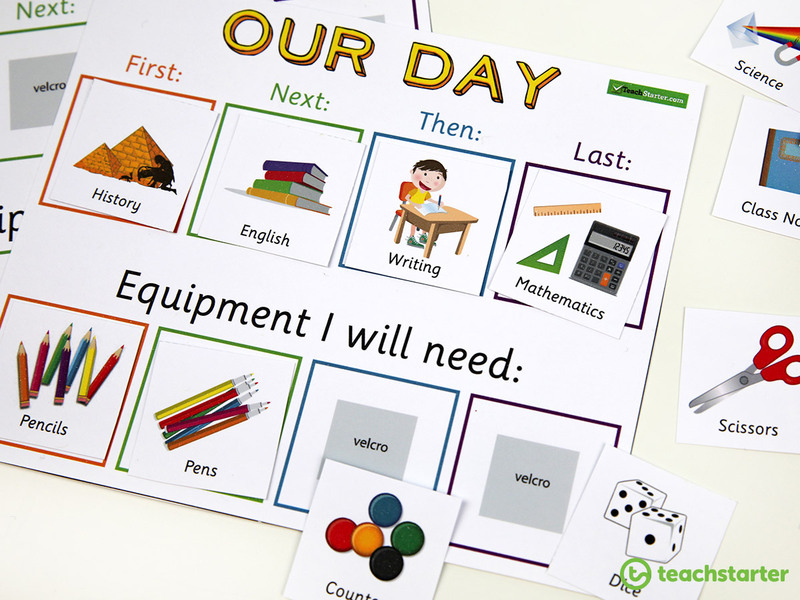 Our theme packs are the perfect way to quickly set up your classroom. They help create a visually appealing classroom for your students and any other visitors to your room. 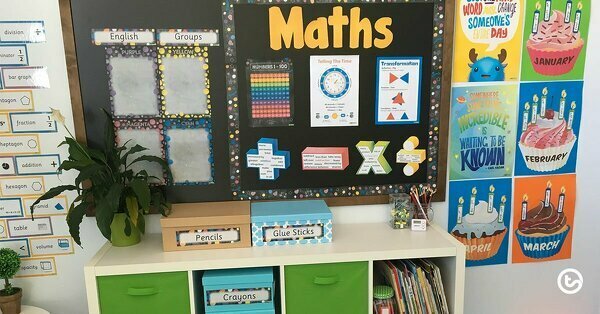 Our classroom theme packs include: welcome signs, group posters, tray labels, name labels and much more. A 31 page Funky Chalkboard themed, classroom decoration pack. A 45 page Superhero themed, back to school classroom decoration pack. 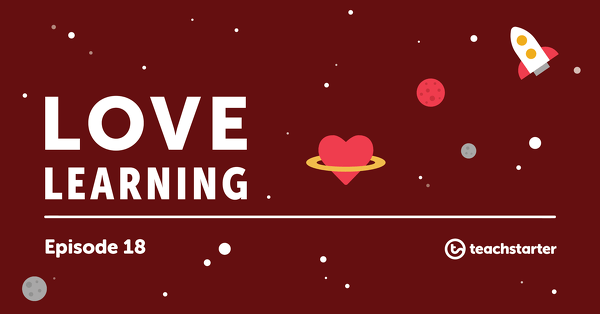 A 26 page Space themed, back to school classroom decoration pack. A 35 page Learning Detectives themed, back to school classroom decoration pack. A 34 page Underwater themed, back to school classroom decoration pack. A 32 page owl themed, back to school classroom decoration pack. A 37 page monster themed, back to school classroom decoration pack. A collection of chevron pattern themed classroom resources and decorations. 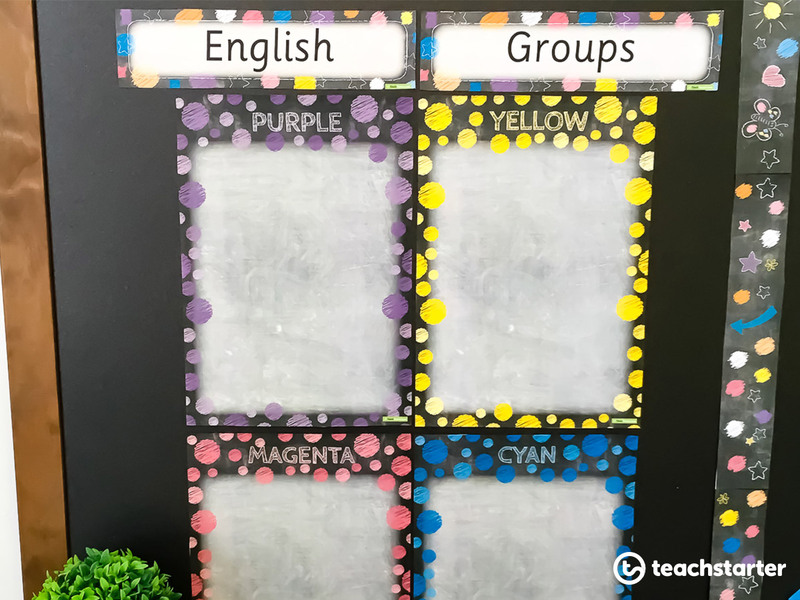 Setting up subject display boards, with a generic border and headings, means that all you need to do is change the content on the board each term or the start of a new unit. 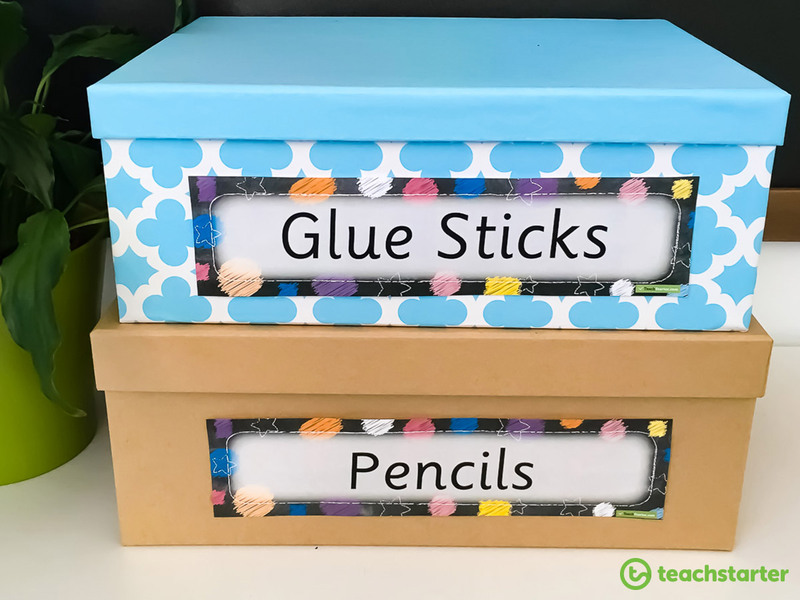 Displaying visually appealing reminders to your students about certain learning areas is a much needed addition to your classroom. 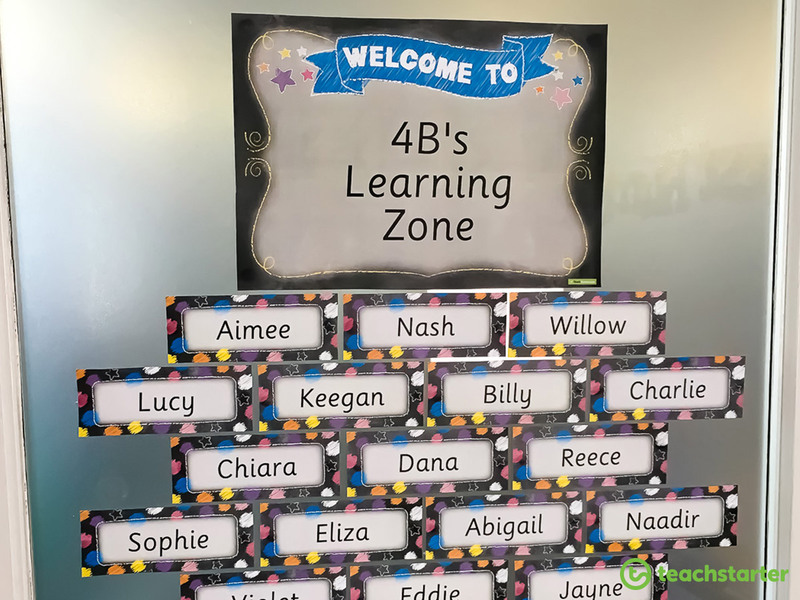 I used the Funky Chalkboard Classroom Theme Pack borders and the Letter, Number and Punctuation Set – Cartoon Orange for the heading in the picture below. Display these posters when working with fractions and their different representations. 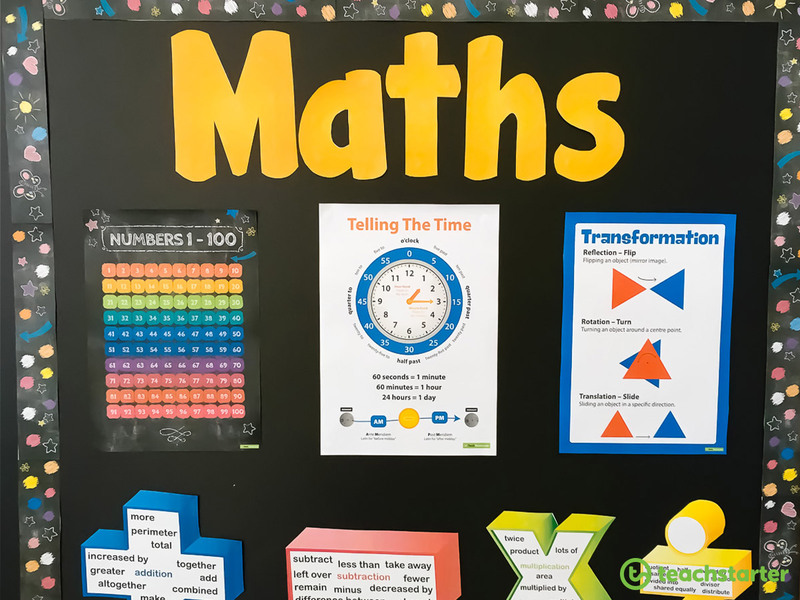 9 posters outlining mental maths strategies for addition. An angles poster with examples, description and degrees. Use these posters to assist your students to learn and convert the different units of measurement. A 2D shapes poster with 16 common shapes, as well as information characterising each shape. A poster showing rainbow numbers. Students can often identify the mathematical symbol, but what about all of the different names for it? 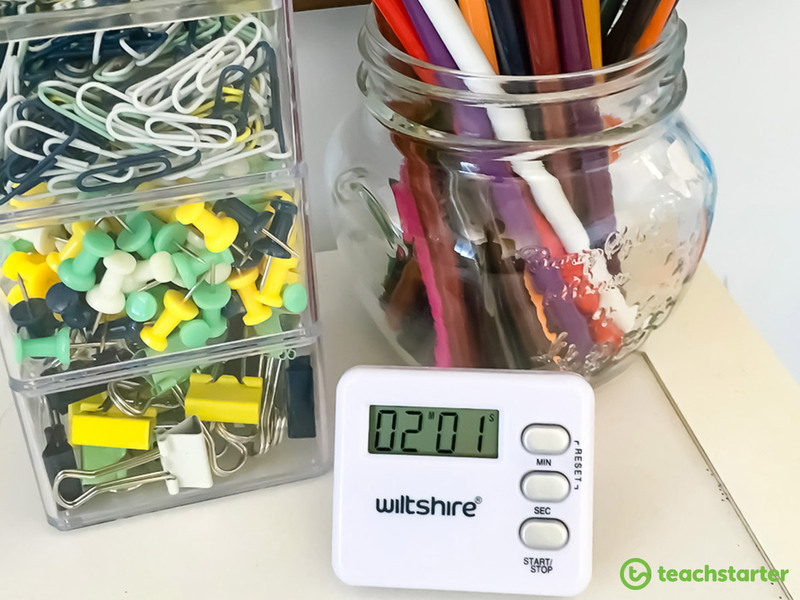 Any sort of classroom timer is essential for every classroom! It’s a great way to keep the students, and yourself, on track with particular activities! I found it helped keep students focused and on task to get their work completed before the timer went off! You may like to give different groups different timers, depending on their abilities. That way, you have different groups finishing at different times and you can spend some valuable time with each smaller group! How will you control the noise level in your classroom? As we all know some chatter in the classroom means learning is happening! However, you need to be able to control the level of noise to ensure it is the best learning environment possible for every student in your class. I found this idea on Pinterest and fell in love! 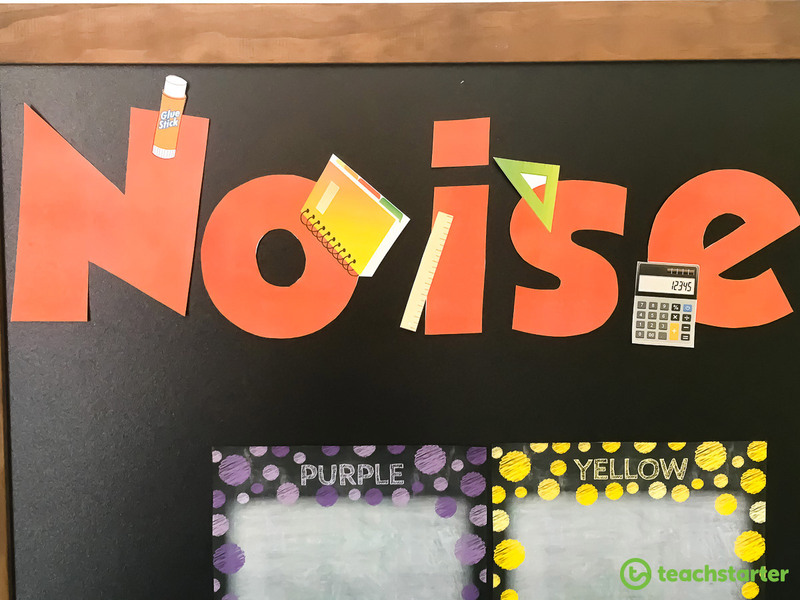 Use one of our classroom letter sets to create the word ‘Noise’, as the level of noise in the classroom is creeping up and getting a little too noisy remove a letter. This gives the students a warning that it is becoming too loud. If all letters have to be removed, the class has to remain silent until you are happy to give them another chance. I used the Letter, Number and Punctuation Sets – General School Style letter set for the below image. Don’t be afraid to add personal touches to your classroom. Buying a cheap rug and bringing in some plants can really change up the feeling of a classroom. We bought this cheap rug from Aldi! 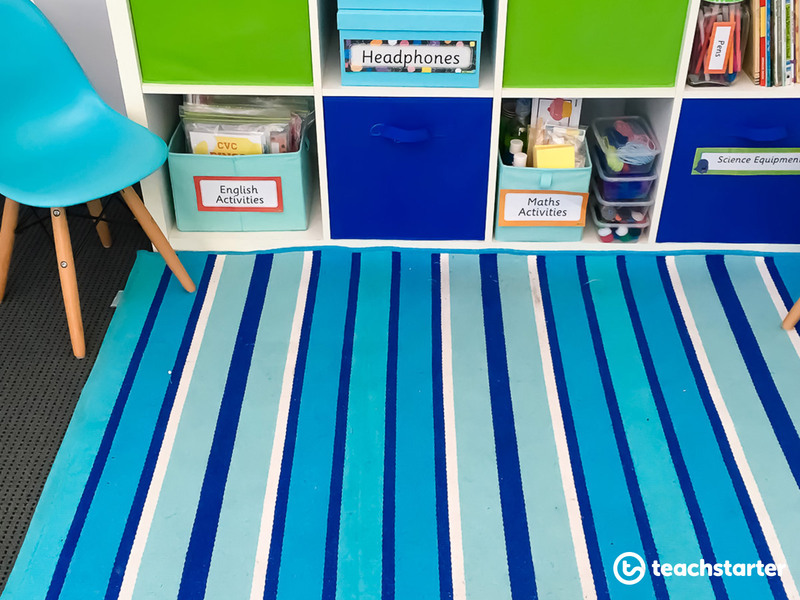 Apart from brightening up your classroom, using a classroom rug brings an element of home to the classroom, making it feel comfortable for your students. It is also a nice way to show early years children that this is the whole class sitting spot! Print and laminate English classroom games and Maths classroom games that can be used in your classroom through out the year. 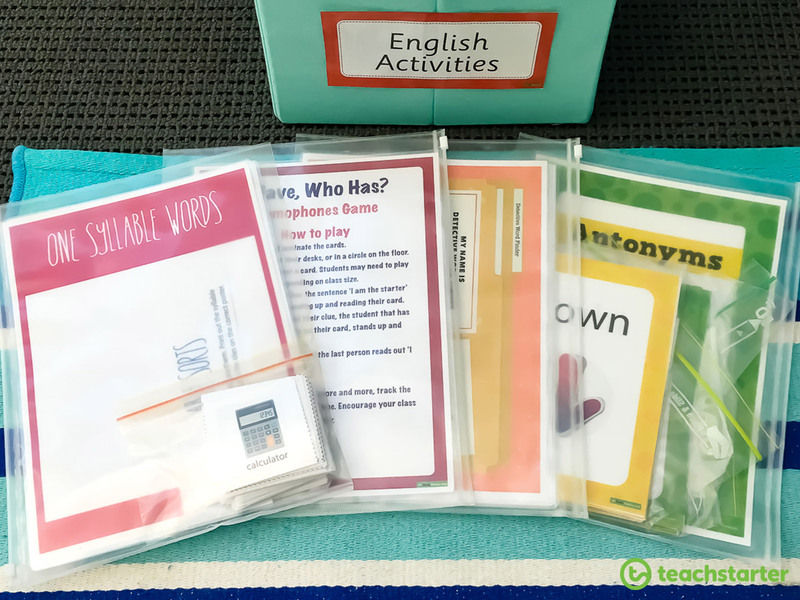 Whether you are learning a particular topic, or you have some students that always finish tasks quickly, having a stack of games that can be accessed at the appropriate level of your students is a life saver! I bought these zip locked plastic sleeves from my local cheap shop, they are great as they are a little thicker than the Ziploc bags! 30 different bingo cards using 2D shape pictures and names. 32 different bingo cards using place value to 1000. A fun game for students to play when doubling numbers from 1 to 12. A fun measurement game for students to play when applying their knowledge of length, mass, capacity and time. A set of six cards to be matched up for each note and coin in Australian currency. A small group or whole class activity to consolidate the concept of fractions (whole, half, quarters and eighths). 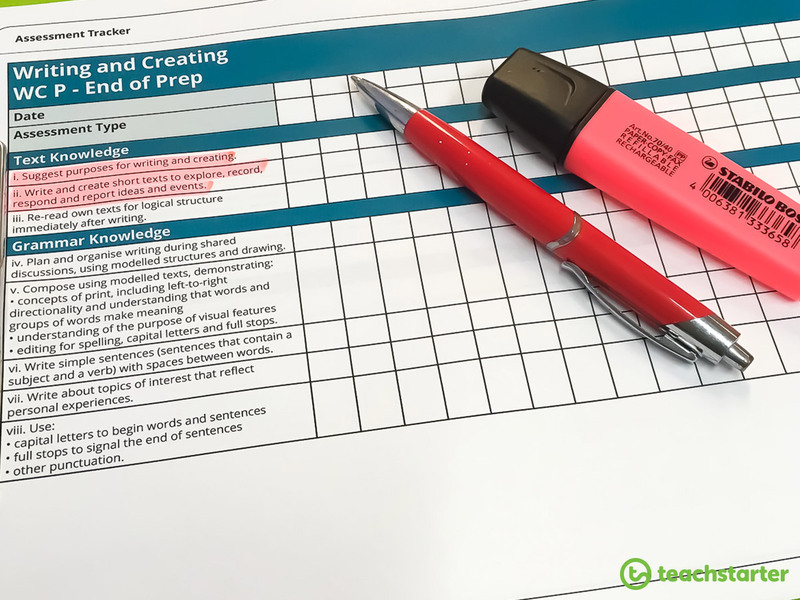 How are you going to keep track of your students? We have a range of assessment trackers that are super easy to use! Print them off and have them in a folder that is easily accessible to mark off your students as they achieve different standards! Kids love celebrating their birthdays! It also makes each student feel welcomed in the classroom when they see their name on a birthday display board. 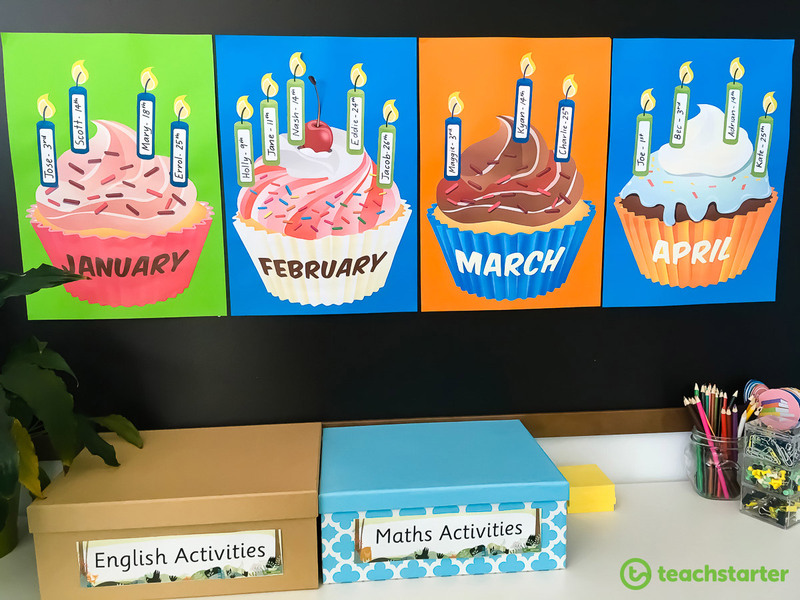 We used our gorgeous Classroom Cupcake Birthday Chart for the below display. Having set classroom rules are crucial to the smooth running of your classroom. You may like to have you students come up with their very own class rules. Alternatively, this cute display is bright, vibrant and a nice addition to your classroom. 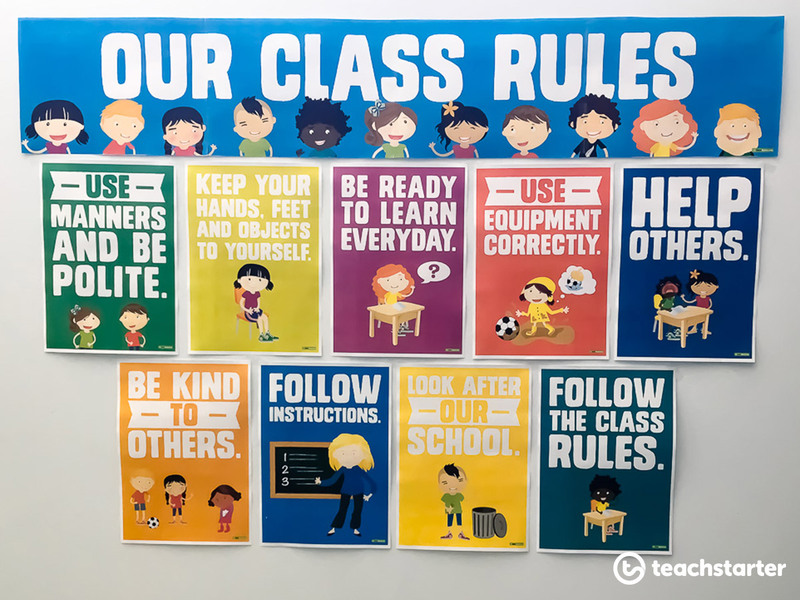 I used the Our Class Rules banner and Our Class Rules – Set of 9 Posters for this display. Stickers and teachers go together like strawberries and cream! Have a basket full of different stickers handy to give out to students caught doing the right thing or to put on students completed work! You may like to use our reward desk charts so that you can add up students stickers! They love to see the stickers they have achieved in one spot! A set of monster themed desk charts to reward and motivate students in the classroom. A set of 8 colourful zig-zag style charts to reward positive behaviour or accomplishments. A set of superhero themed desk charts to motivate and reward students in the classroom. 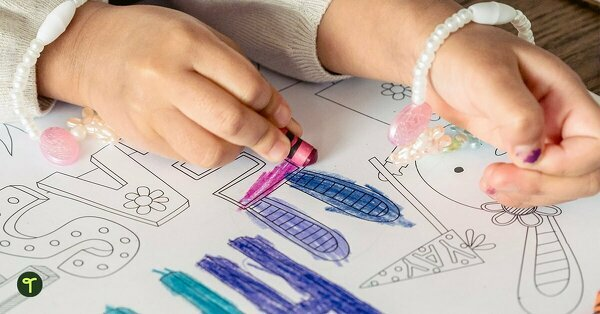 For some fantastic ways to set up routines in your classroom – check out out blog – 5 Simple Ways to Develop Routines in the Classroom. Fill Your Room with Positivity! 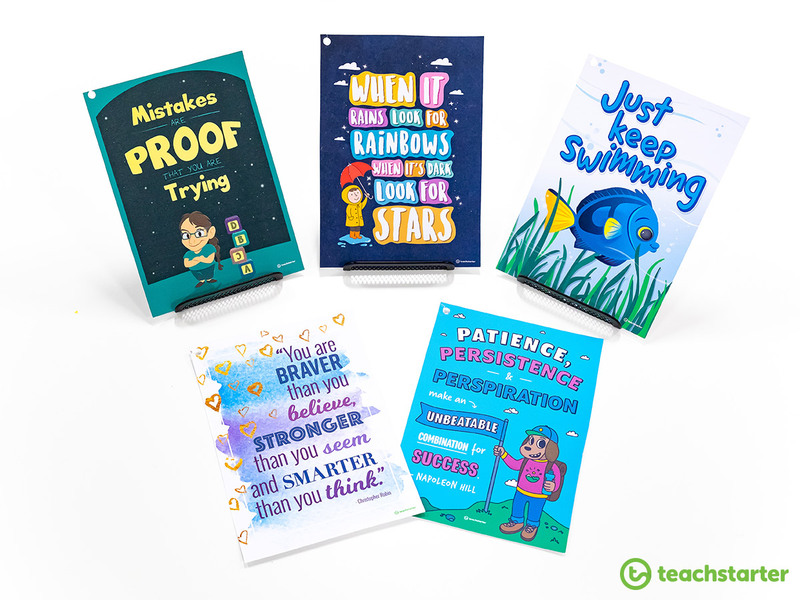 Use our beautifully designed classroom positivity posters to brighten your classroom and give your students a positive outlook during the school day! A free positivity poster to brighten up your learning space. A poster to encourage students to build resilience. A poster to encourage students to be positive. 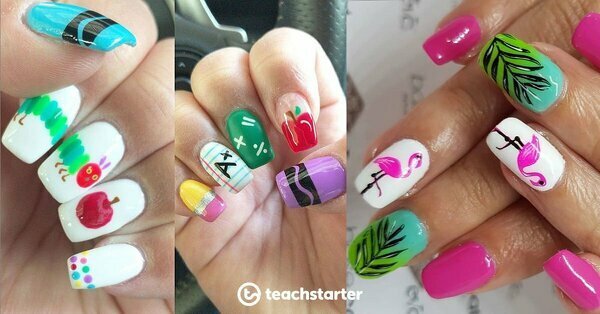 If you have an amazing classroom setup, please post it on our Facebook page or on Instagram with the hashtag #teachstarter. We would love to see and share it! I’m a bit behind with my classroom organisation this year, Holly, as I was away all holidays. For the first time ever! I’ve had so much anxiety trying to get it set up (the teach starter pack I ordered is still in the packet it was posted in…). This is helping me to organise my thoughts. And I’m an experienced teacher! Just lacking time when I’m teaching infants all day. Thank you so much for this. I have my very own class this year as I have job shared previously and the lovely teacher I shared with had everything set up and organised before I got there so its my first time organising everything and I had no idea where to start. This has given me a fantastic starting point. Thank you!!!! Thank you so much for your comment. I’m so glad you have found this blog useful. Best of luck for the year ahead.